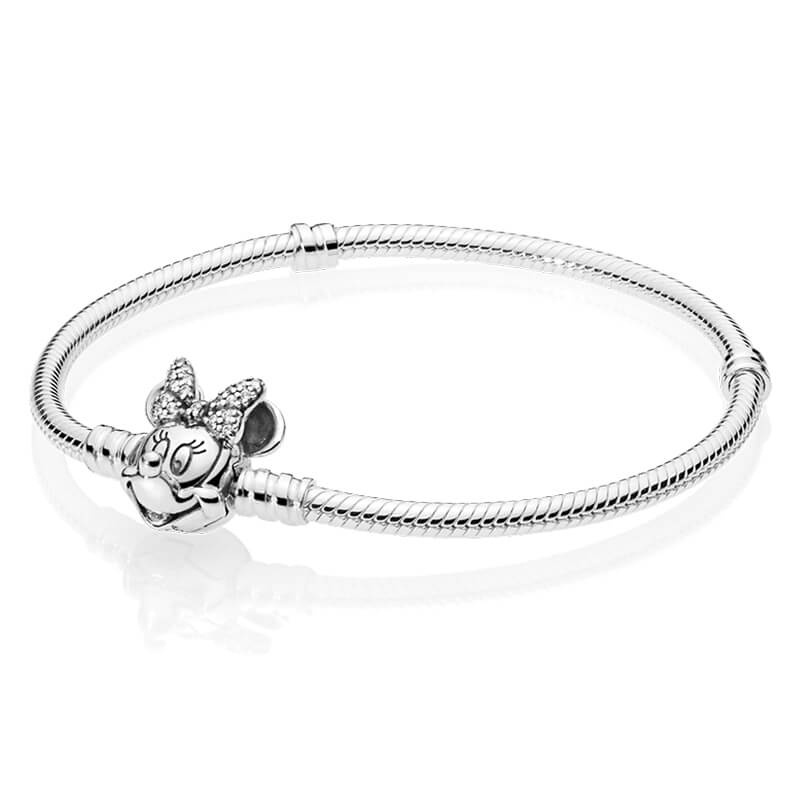 PANDORA Disney - Moments Shimmering Minnie Bracelet. You can make all your Disney dreams come true with this magical twist on the traditional PANDORA Moments bracelet. Featuring a glittering portrait of Minnie Mouse as the clasp, it's guaranteed to get heads turning.